Education at the Children’s Village. Elizabeth (in the headscarf on the left) had had a terrible time before she came to us two years ago, and had missed a lot of schooling. Now in a stable environment with a lot of support, she has reached Standard 4 at primary school and is likely to be put up a class to Standard 6 at year end. In Standard 7, she needs to pass exams to go on to secondary school. As of July, there were 64 kids cared for in Malaika Kids’ Children’s Village Mkuranga. Within that total, 37 attend the local primary school in the Mkuranga itself and a further 18 are below primary school age. 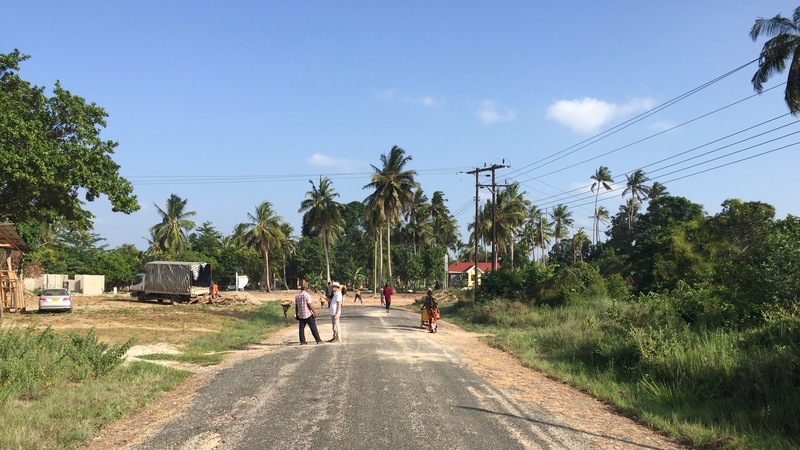 Eight kids attend a boarding secondary school nearby, and one child with epilepsy attends a special boarding school near Dar es Salaam. 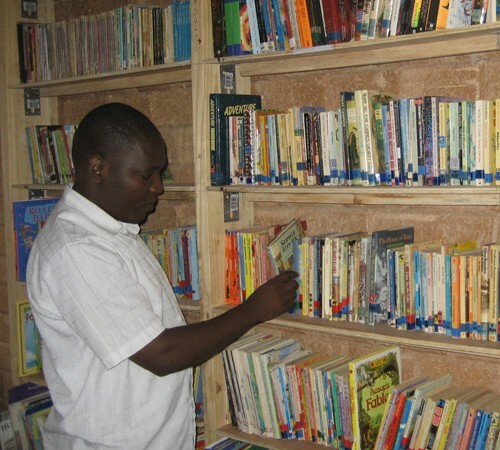 Primary school education is free in Tanzania. Up to 2002, there was a small charge. Numbers attending primary school shot up from 4 million to over 8 million today, while the budgets provided by central government have not kept pace. The result is very large classes. Only Standard 6 and 7 attend primary school morning and afternoon – the younger classes either attend in the morning (class starting at 8am), or in the afternoon. Every few weeks they alternate. This way, the usage of school facilities and teachers is maximised. The picture above was taken in the local primary school. There is a school uniform code, including black shoes, that is quite strictly kept. This is a group of our kids setting off on the walk to school (around 2 miles). As well as uniforms, there are fees for taking exams and the cost of books and other school-related costs we need to cover. But this is not enough. We also need to provide support in the CVM so that previously traumatised kids, who often missed a lot of school, get a chance to catch up. We have two classrooms in the Village where we run remedial sessions for all the kids. We encourage educational arts and crafts out of school. We know that IT skills will be a vital tool in our children’s ability to get good jobs and qualifications. Up to now we have relied on desktops in the computer room, but with electricity only generated for a few hours in the evening, these have been of limited use. Now, with the stunning gift of laptops with good batteries from The Post Office on their way, we will look forward to much enhanced training. The kids now at Ujenzi secondary school were generally older when they came to Malaika Kids and did not receive the same level of primary school support. As a result, despite their best efforts, their academic progress has been tough. Last year, we decided for one child that, rather than secondary school, it would be better to send him to an apprenticeship scheme. This one is run by the army to teach motor mechanics. It is based in Dar es Salaam, so the boy has gone back to live in the Reception Home for the duration of the course. This seems to have been a success and we may do more in the future. Very young kids obviously do not go to school, but there is a pre-school for the older ones just beside the primary school. They have attended by tuk tuk. Our new Village manager (James) has now decided to pull this pre-school class in house, and we will be using our own classrooms to handle pre-school teaching from now on. Last year, an experienced teacher called Gwenn Edwards lived in the Village for 5 months as a volunteer supporting and helping to direct all the above activities. Sandra Soper, another experienced teacher, is about to build on Gwenn’s work and is going out to Tanzania at the end of September. We wish her all the very best!